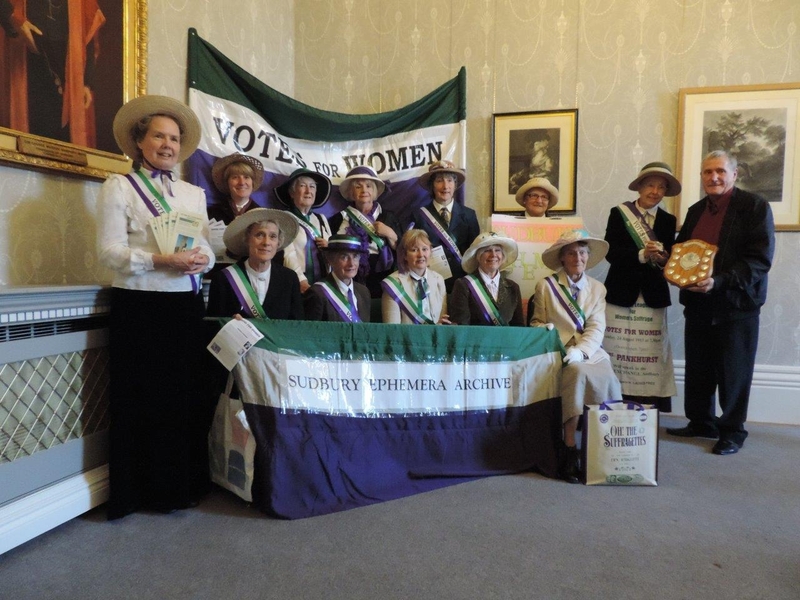 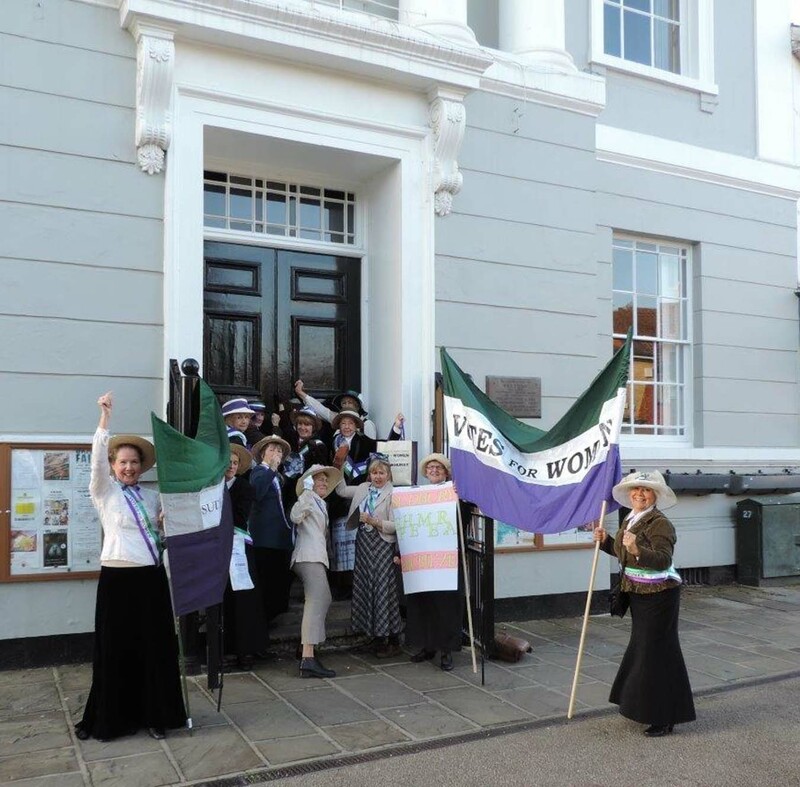 On Wednesday 8th October the Sudbury Suffragettes stormed the Town Hall to be awarded the Shield for The Best Float. 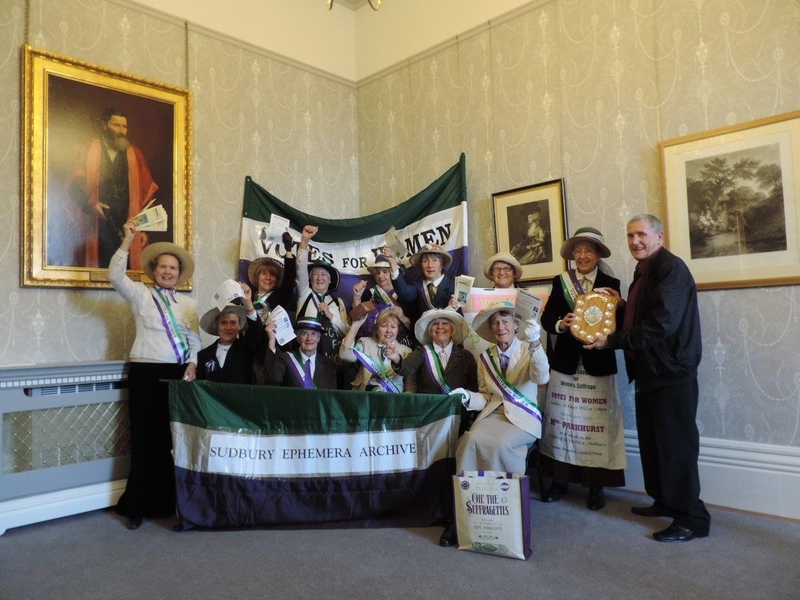 The Shield was presented to the Suffragettes by the Carnival Organiser Jack Owen. 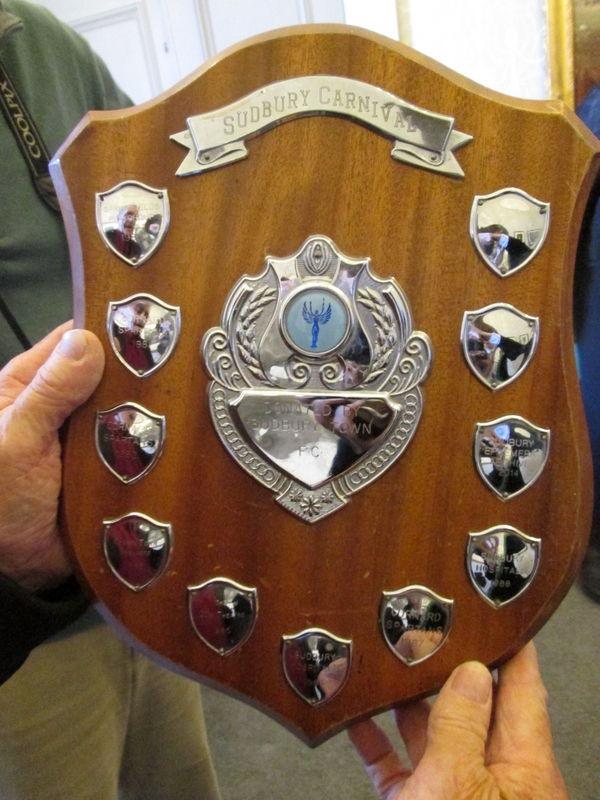 The Shield is now engraved with ‘Sudbury Ephemera Archive 2014‘. Anne Grimshaw has the Shield proudly positioned on her piano, SEA is able to keep it for six months before it returns to the Town Hall, the last winners were 1988!!! 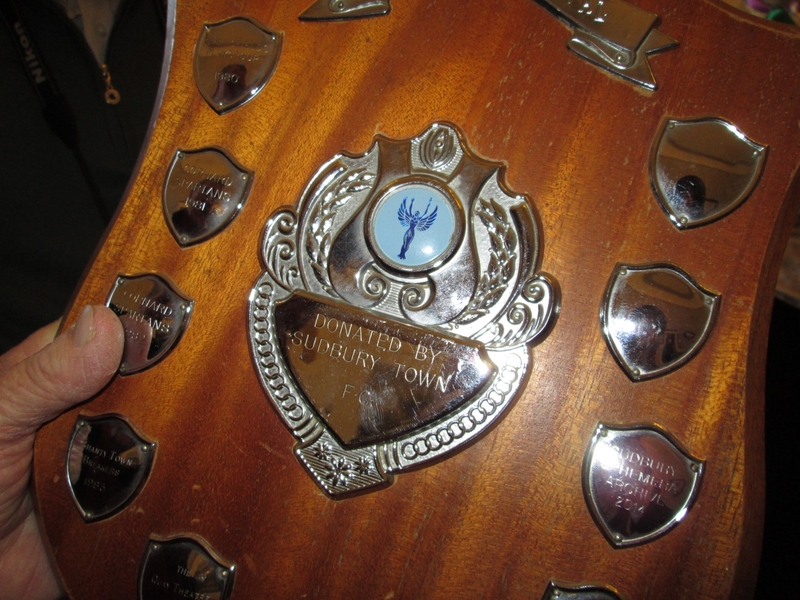 So quite a coup for the Archive. 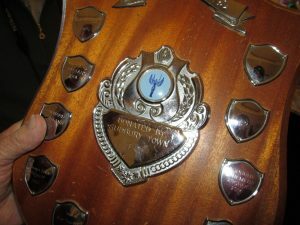 We will be able to add the small shield that we were able to keep to the Archive. 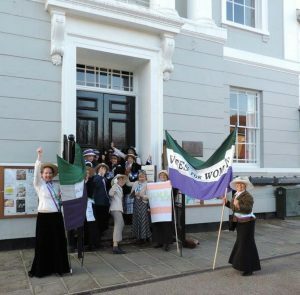 A BIG THANK you to all the Suffragettes. Photographs thanks to Suffragettes official photographer Ian Cruttenden.